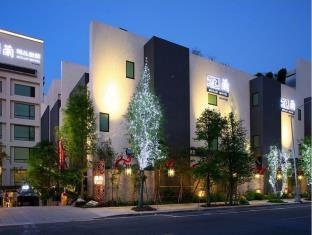 The 3.5-star Mulan Villa Spa Motel offers comfort and convenience whether you're on business or holiday in Taipei. Offering a variety of facilities and services, the hotel provides all you need for a good night's sleep. To be found at the hotel are free Wi-Fi in all rooms, daily housekeeping, taxi service, 24-hour front desk, express check-in/check-out. All rooms are designed and decorated to make guests feel right at home, and some rooms come with television LCD/plasma screen, carpeting, complimentary instant coffee, television in bathroom, towels. The hotel offers various recreational opportunities. For reliable service and professional staff, Mulan Villa Spa Motel caters to your needs. Good city hotel. Awesome vibe. Modern motel. Sweet stay with my wife. Lack of wardrobe. No amenities. Big rooms.